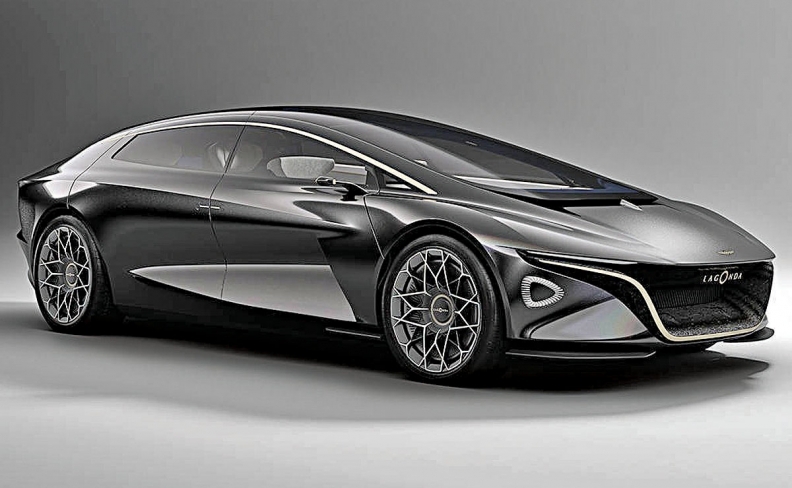 The Vision Concept sedan unveiled at the Geneva auto show in March previews the styling of Aston's new Lagonda electric brand. LONDON -- Aston Martin remained in the black in the first quarter, although pretax profit fell due to a weaker dollar and investment for a series of model launches. Pretax profit fell by just over half to 2.8 million pounds ($3.76 million) in the first three months due to the weaker dollar, as around a third of its demand comes from customers buying in dollars or a currency pegged to it. At constant currencies, profit rose to 7.4 million pounds. After six years of losses, the UK sports-car maker swung to a pretax profit in 2017, fueling speculation of a potential stock market listing. "We continue to look at our options and we are continuing to execute on the plan and that gives our shareholders the most options available to them," he told Reuters, when asked about a flotation that one source familiar with the matter has said could value the company at 4 billion pounds ($5.4 billion). Like the rest of the automotive sector, the company is pushing ahead with plans for hybrid and electric models to meet more stringent emissions rules and an eventual ban on the sale of new gasoline and diesel cars from 2040 in Britain. Its plans include reviving the Lagonda namplate for an electric ultraluxury brand. The government has yet to clarify whether that will include hybrid vehicles, which comprise both a conventional combustion engine and electric propulsion, prompting Aston's boss to criticise ministers on Twitter earlier this month. Asked whether the inclusion of hybrids in the ban would be a blow and change the firm's future thinking, Wilson said: "It wouldn't significantly." "We have always said that we go from gasoline to BEV (battery electric vehicle) with only step along the way into hybrid so hybrid has always been a transitional technology," Wilson said.